The shortlist of the most outstanding businesswomen in the North East has been announced today (26 September 2018). 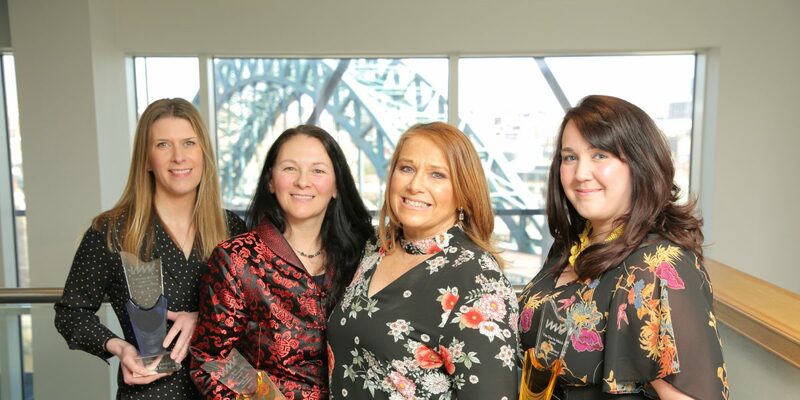 These North East Businesswomen (WIN) Awards have 10 categories and the potential winners of the main category, the Susan Dobson Award, includes Sophie Milliken, Smart Resourcing Solutions, Alice Hall, Pink Boutique and Bethany Ainsley, Nouveau Group. Other categories include the Sage UK-sponsored Woman in STEM Award which has a shortlist of Gemma Murray, Techy Tots, Helen Godfrey and Kelly Bentham, Amber North East and Julie Gillon from North Tees & Hartlepool NHS Foundation Trust. Among the other categories are the Rising Star award, the Leadership award and best Small Business award. Businesswomen on the shortlist come from the length and breadth of the North East as well as a range of sectors. The award ceremony will be held on Friday, 16 November at the Hilton Newcastle Gateshead.